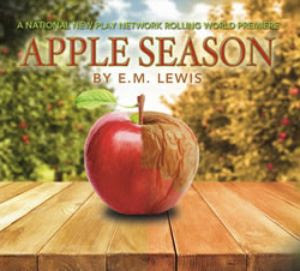 Apple Season tells the story of siblings, Lissie and Roger, who fled from their family farm twenty years ago. Despite their disappearance, family secrets chase them still. A funeral, a surprising offer, and questions from an old friend add fuel to the flame of the memories that haunt them. As the two siblings tumble down a rabbit hole of memory and grief, anger and violence, they try to let go of the tangled past that holds them. Race. History. Power. Zoe, a black student at an Ivy League University, is called into her white professor’s office to discuss her thesis about slavery’s effect on the American Revolution. In this riveting two-person drama, a polite clash in perspectives explodes into an urgent and dangerous contemporary debate. Tony Award winner, Michael Frayn’s Noises Off belongs on any list of the funniest plays ever written. Screwball antics, sight gags, pratfalls, misplaced props, slamming doors and flying sardines all combine in this celebrated, flawless farce-within-a-farce.